Last month I received an email from a a very nice woman named Maureen. She found my family tree on WikiTree and then contacted me. It turns out that we are cousins on my Iverson side. Our common ancestor is Iver Iverson, my 2nd great-grandfather who was born in Norway, immigrated to the United States in 1858, and fought in the American Civil War. Maureen and I have emailed back and forth. She is so sweet! She shared amazing documents and photos with me and also gave me permission to share the photos here on my blog. Here's one of her photos. This is Rose Josephine Iverson, my 1st cousin twice removed. Isn't she beautiful? 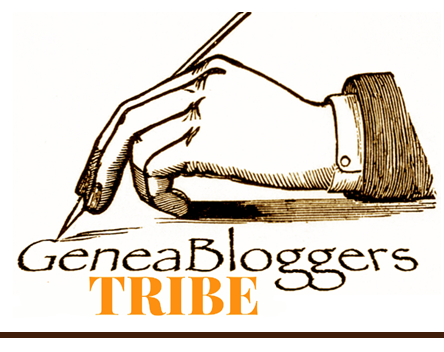 I recently gave my "Family History Blogs and Social Media" presentation at the Fresno County Genealogical Society's June General Meeting. One of the things I talked about in that presentation is the importance of sharing our family tree online. This recent cousin connection with Maureen is just one more example of why that is true. My regular readers may also remember another amazing thing that happened because my family tree is online. I call it the Engle Family Postcards Adventure on my blog. If you aren't familiar with what happened, you can read about it by clicking on the "The Engle Family Postcards" tab at the top of my blog. I'm so glad that Maureen contacted me. I look forward to us sharing more family history information with each other in the future. Do you have your family tree online? If so, what connections have you made because your tree is online? TEL AVIV, Israel & LEHI, Utah, June 15, 2016 — MyHeritage, the fastest-growing destination for discovering, preserving and sharing family history, released today the Sun Chart — a new type of descendant fan chart, available to all users of MyHeritage for free. The center of the Sun Chart features an ancestor selected by the user, with multiple generations of descendants in the outer rings. This chart is the world's first descendant fan chart with personal photos, unique to MyHeritage. The Sun Chart is designed to place as many descendants as possible on the smallest possible chart, scaling to hundreds and even thousands of people, making it ideal for sharing with relatives at a family reunion or get-together. Descendant charts that would not fit in a room if arranged horizontally or vertically, can now be prepared in this compact circular format and hung conveniently on the wall. It is designed to be the most compact family tree chart, while offering a very eye-catching and attractive visualization of a family tree, complete with photos. The Sun Chart design was inspired by a family tree chart format that MyHeritage staff encountered multiple times while researching family history in Corfu, Greece. It was used for centuries by the Jewish community in Corfu, and the researchers immediately saw that it offered a unique benefit: a different segment is allocated for each person, proportional to the extent of descendants he or she has, creating a very compact layout that can easily be extended as new generations are born. "The new Sun Chart is a perfect example of MyHeritage's unique approach," said Uri Gonen, Senior VP of Product Management at MyHeritage. "We bridge together cutting-edge technologies and an appreciation for the wisdom of generations past. When our research on the genealogy of the community in Corfu revealed an unusual and highly useful family tree format, we decided to harness our technological abilities to bring the benefit of this style of family tree chart to as many people as possible, and added personal photos to make it even more appealing." Sun Charts provide extensive configuration options to control photo size, font size, and level of included detail, so users can customize each chart to their needs. MyHeritage has developed an algorithm for compacting the charts, which calculates every person's position precisely in order to result in the smallest possible chart. Personal photos are included in the chart, helping to bring the family tree to life, and creating a visualization that is more appealing and interesting. After generating the chart, users can download it in PDF format and print it themselves at home or at any printer, or email it to their family members. MyHeritage also provides an integrated poster printing service that is useful for charts of unusual size, with worldwide shipping. 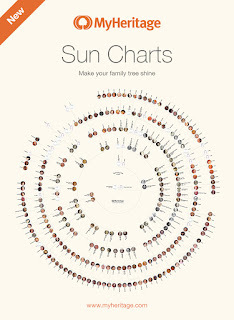 Sun Charts are free. To generate a Sun Chart, users can sign up on MyHeritage for free and start a new tree, or import their existing tree as GEDCOM. 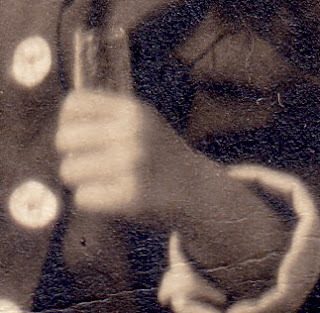 This is a photo of sweet little Edna Lillie Webster, one of my maternal grandfather's sisters. My grandfather, Debs Warren Webster, and his oldest sister Carlota Adelia Webster were the only children of my great-grandparents, Watson (Frederick) Emory Webster and Esther Matus Villatoro to survive to adulthood. Sadly, Edna Lillie and two of her younger siblings, Eugene and Alice, passed away as children. For the longest time, I didn't know exactly when or where Edna Lillie passed away. Her father, a.k.a. "The Traveling Dentist" here on my blog, traveled between the United States, Mexico, and Brazil during his life. Edna could have passed away in any of those countries, but I didn't know which one. It turns out that Edna passed away in Pénjamo, Guanajuato, México. 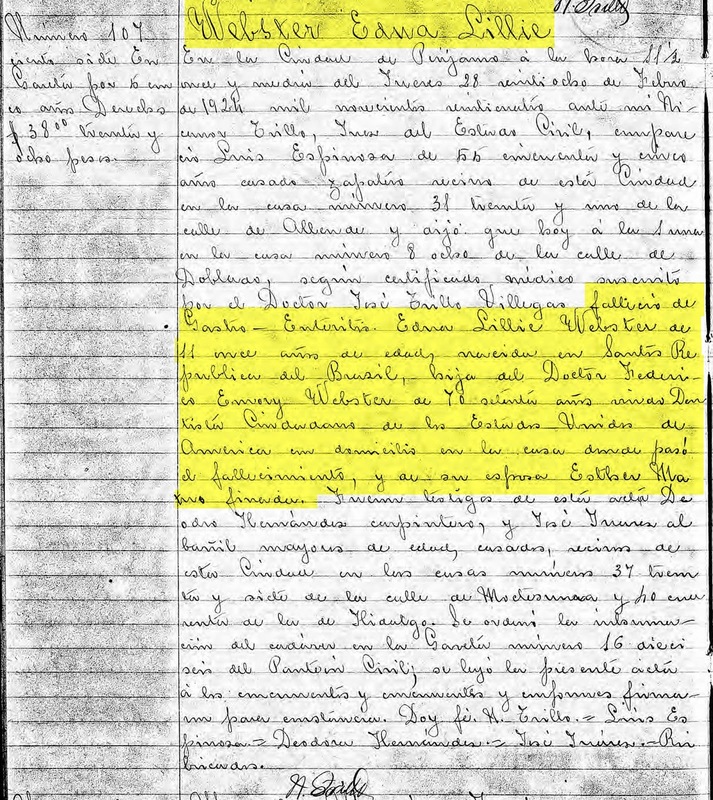 This document is in Spanish. 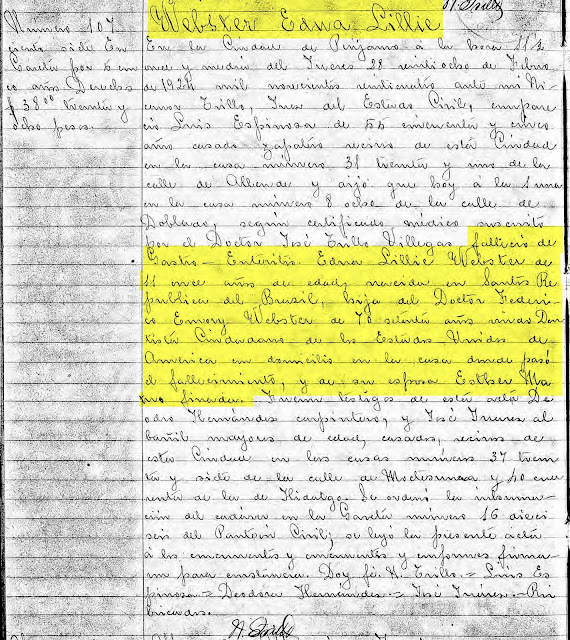 Unfortunately, I don't read or speak Spanish, but I have done family history research for my Mexican ancestors before and can understand a bit. Plus, I can use Google Translate to help me. Edna's death record contains a lot of valuable information. My Grandpa Debs loved his sister Edna Lillie. It must have been devastating to him when she passed away. He endured quite a bit of heartache in his life. His mother passed away when he was only 5 years old and three of his four siblings didn't survive to adulthood. His first wife, Sarah (my grandmother), passed away when my mom was almost 4 years old, leaving him a widower with a small child. The photo of Edna at the top of this post was taken sometime between January - April 1922 in Brinkley, Monroe, Arkansas when she was 9 years old, only 2 years before her death. It's cropped from the photo below. I'm grateful that we finally know when and where little Edna Lillie passed away, and that we know her cause of death. The following is a press release from FamilySearch. 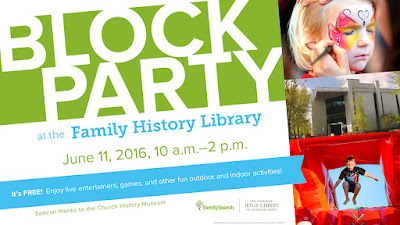 Salt Lake City, Utah (June 5, 2016)--The Family History Library and the Church History Museum of The Church of Jesus Christ of Latter-day Saints will be sponsoring the second annual Family History Block Party on Saturday, June 11, 2016, in downtown Salt Lake City featuring indoor and outdoor activities for the entire family. The event will run from 10:00 a.m. to 2:00 p.m. on West Temple Street from North Temple to South Temple which will be closed to thru traffic. There is no charge to attend, and all activities are family-friendly. The first block party was held last year in 2015 in conjunction with A.J. Jacobs’ global family reunion and was a great success. The Pecos Posse Old West Singers, Touch of Polynesia (Polynesian dancers), and Scottish bagpipes will provide live entertainment. Other free outside attractions include a rock climbing wall, bounce houses, face painting, and participation in pioneer era games, among other activities. There will also be food trucks and snow cones for nominal fees. The inside activities include 20-minute family history classes, fun Green Screen photo opportunities, free photo scanning of family photos, documents, and artifacts, and family discovery experiences. In the Museum, visitors can find historical characters walking around, test detective skills about mysteries behind artifacts in the Museum, and children can visit the new Tell Me the Stories of Jesus children’s exhibit. Toddlers to 12-year-olds will have fun learning through hands-on play and art projects. Visit the Family History Library Block Party site for more information. Parking is available, some free, some pay parking. 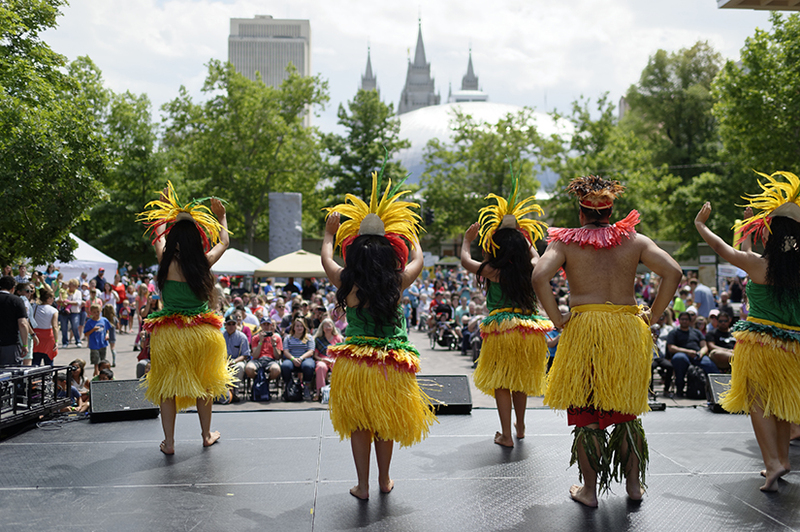 Go to Temple Square Parking for more information. 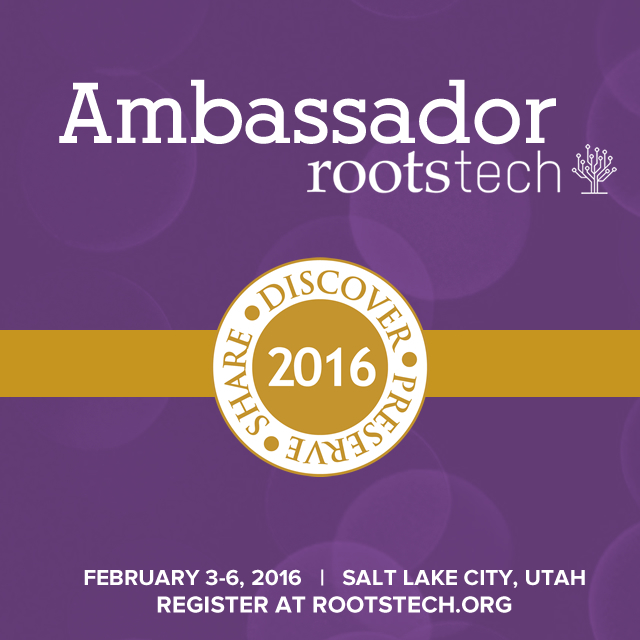 FamilySearch International is the largest genealogy organization in the world. 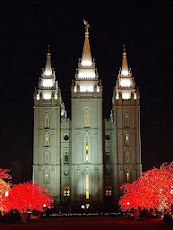 FamilySearch is a nonprofit, volunteer-driven organization sponsored by The Church of Jesus Christ of Latter-day Saints. Millions of people use FamilySearch records, resources, and services to learn more about their family history. To help in this great pursuit, FamilySearch and its predecessors have been actively gathering, preserving, and sharing genealogical records worldwide for over 100 years. Patrons may access FamilySearch services and resources free online at FamilySearch.org or through over 4,921 family history centers in 129 countries, including the main Family History Library in Salt Lake City, Utah. What Was Little Edna Lillie Holding in Her Sweet Little Hands? In my previous post, I shared this adorable photo of little Edna Lillie Webster, second child born to my maternal great-grandparents, Watson (Frederick) Emory Webster and Esther Matus Villatoro. You may know Watson as "The Traveling Dentist" here on my blog. Edna Lillie was born in 1912 and this photo was taken in 1916, so she must have been around 4 years old at the time. A couple of readers left comments wondering what Edna had in her right hand. 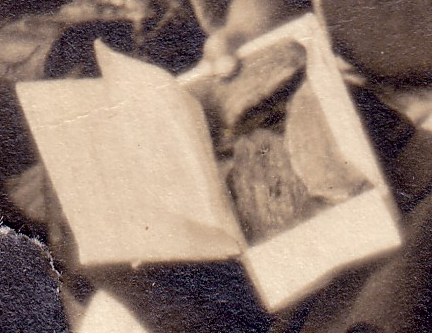 I zoomed in on that part of the photo to get a better view of what she was holding. This looks to me like a box with treats of some kind. Perhaps it's from a bakery or other store. I see what looks like paper that was probably folded over to cover the goodies in the box. I also zoomed in on what Edna was holding in her left hand. And it looks like Edna is holding one of the goodies in her left hand. Hmm, I wonder what kind of treat that was. What do you think Edna Lillie is holding in her sweet little hands? 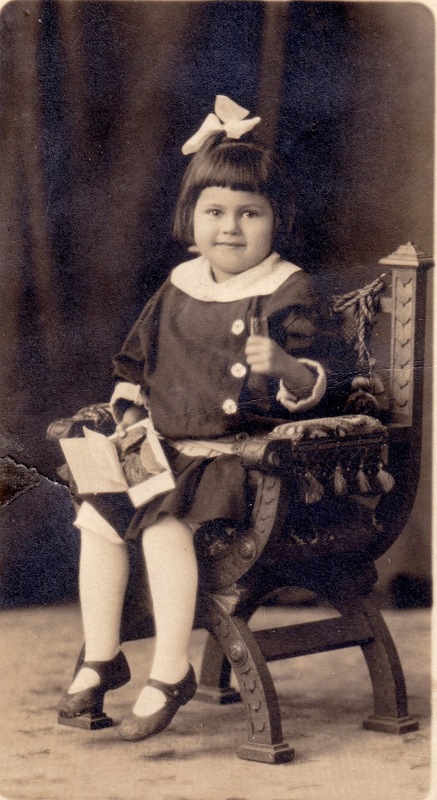 This adorable little girl is Edna Lillie Webster. She was the second child born to my maternal great-grandparents, Watson (Frederick) Emory Webster and Esther Matus Villatoro. 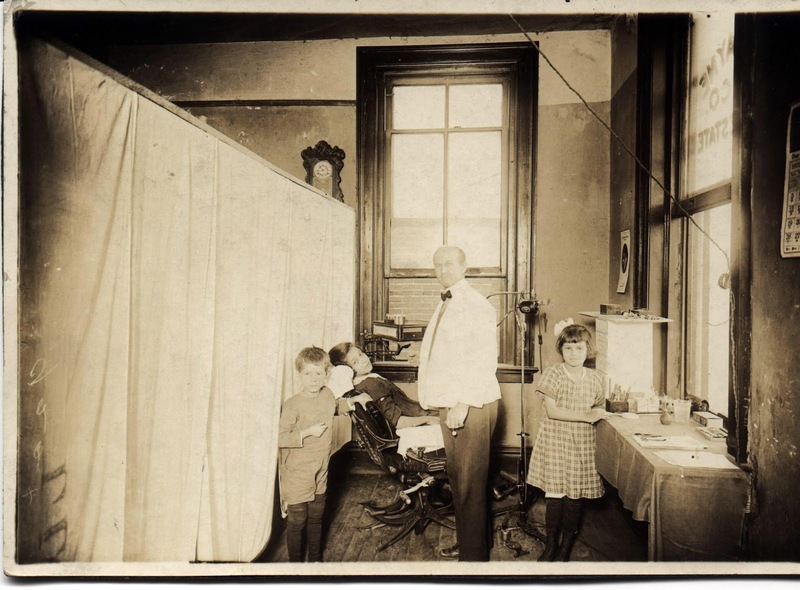 You may know Watson as "The Traveling Dentist" here on my blog. Edna Lillie was born in September 1912 in Santos, Sao Paulo, Brazil. This photo of her was taken in 1916 in Curitiba, Brazil. Sadly, little Edna Lillie did not survive to adulthood. Until recently, I didn't know exactly when or where she passed away. I will share these new findings in a future post.